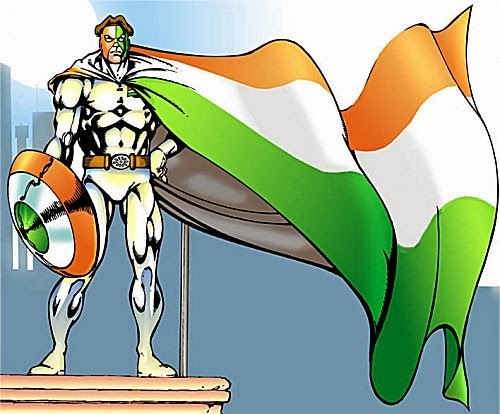 Tiranga is a character inspired by Captain America. Just like Captain America, he also sports a shield with the Indian tricoloured flag and fights to save the country from evil. Daring, loyal and a great soldier, Tiranga inspired patriotism in me and his stories were both thrilling and so addicting that I could not wait to read the next issue. 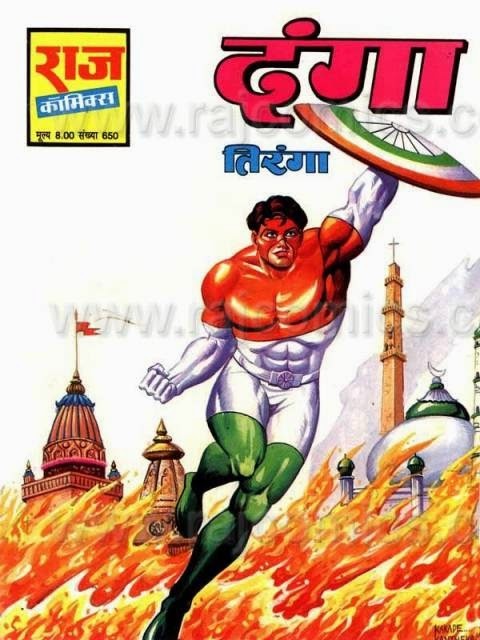 One of the most popular characters created and published by Raj Comics, Tiranga still stands for justice, patriotism and righteousness and has a huge following. Come back again to checkout my next favourite Indian cartoon/comics character whose name starts with U!